⇑ back to "Kingdom Culture"
Today, we continue a series on the faith of the 2016 presidential candidates. We've reached out to the 2016 presidential candidates—all of them, from both major parties—and asked them to do brief interviews about their faith and how it impacts their approach to governance. Recently, I interviewed former Gov. Jeb Bush about his faith. It was a fascinating interview, which you can read here. Today, I am posting part one of my interview with Marco Rubio. 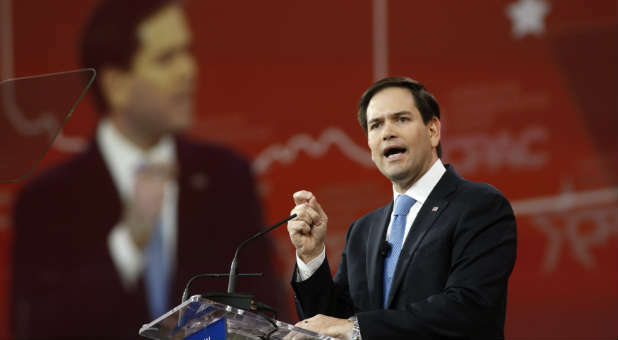 Senator Rubio's interview was the same length as Gov. Bush (20 minutes), but covered a bit more ground. Both interviews have been fascinating, and I hope you take the time to read them both—and others forthcoming! ES: You have one of the more fascinating faith journeys. You kind of run the gamut of conservative American religious traditions. You left one and went to the other for different reasons. So tell me a little bit about that beyond what we know. We know you grew up Catholic. You kind of were engaged in the Mormon faith and came back to Catholicism. Where are you now? Are you solely a Catholic? I know you're theologically and doctrinally aligned. Are you an evangelical Catholic? How do you define yourself? MR: I was born into the Catholic Church. My family attended the Catholic Church. I was 8 years old, so we followed my parents, primarily my mother into the LDS church for a number of years. And by the time—I was 11 or 12—we had returned to Catholicism. So as an adult—is what I can speak to. Certainly growing up after that, I attended a Catholic church, was confirmed, married in the Church and I've never really left the Church. There was a time when I became not as engaged in my faith as I needed to be. My wife really became alive in the Spirit, particularly by attending Christ Fellowship at the invitation of our sister. As my family loved attending there—my children certainly do—and she's so alive in the church that, who was I to disrupt that based on denominational differences? So we've maintained our relationship with the church ever since and continue to listen to sermons even when I'm out of town. I think [Christ Fellowship Pastor] Rick [Blackwood] is a phenomenal teacher of the Word and we enjoy very much our friendship with him and our relationship. That said, of course, I'm a Roman Catholic. I mean I'm not just aligned doctrinally and theologically but I attend mass every Sunday. We participate and are in Communion with the church. So I'm a Roman Catholic, but in no way do I view that as a conflict with the gospel teachings that our brothers and sisters in Christ offer at Christ Fellowship. In fact, I have relationships with Greg Laurie out in Orange County and others. In the end we share the same faith in Christ as our Savior. ES: Evangelicals and Protestants would say that they don't add anything to their salvation—it's by grace through faith alone. So how would you articulate that? Are you a believer by grace through faith alone or how does the work of the Church and the sacraments fit into that? MR: The fundamental difference between Roman Catholicism and most Protestant denominations and evangelicals is the belief that Roman Catholics have that the Word of God is not just the written Word but also the tradition. Oral traditions that were handed down from the early Christians are also part of the Word of God. It's a misunderstanding that somehow Catholics believe you can earn salvation. You cannot earn it. It's a free gift. What Catholics do believe, however, is that true faith bears fruit and that the fruits of that faith are important. If your faith is not bearing fruit, then it's not a true faith. It's not that you can earn your salvation through work. You have to accept that the gift of salvation—which is a free gift offered to all of us by His death and resurrection. But your faith is known by the fruit that it bears and so certainly we are commanded. Beyond the concept of salvation is the notion that we have an obligation to serve one another and to model Christ's behavior in serving one another. I think that's true for all Christianity. It's why for example, Christ Fellowship, they offer [a] tremendous amount of work in the community and charity. Because it's the fruit of our faith but it also follows Christ's commandment to love our neighbor and to care for the less fortunate. In many ways, by doing that, you're ministering to Christ directly that when you welcome a stranger, or when you visit the prisoner, or when you feed the hungry and clothe the naked, you are serving Him. I think that's certainly manifest in the Catholic Church through its tradition of charity and charitable work all over the world but also the evangelical community has really taken up that calling as well. ES: When you sort of went through and explained your personal faith, it was fascinating and detailed. Even here you explained the authority of the Scriptures and the authority of tradition in the church. That's not a normal level of theological awareness for a political candidate. From where does that come? MR: Well, I've always cared about it. It's something that I've tried to be informed about and understand my faith better. As I wrote in my book, I didn't fully appreciate Catholicism until I attended a non-Catholic church and it is by a better understanding of the written Word that I came to understand for example the liturgy of the church. The entire liturgy of the Catholic Church is built on the Bible, particularly the book of Revelation. From the imagery of incense and candles, to the organization of the Mass, it's all about bringing heaven to earth in that one moment in which the body and blood of Christ is actually present, as we believe in the Catholic faith. Having that deep understanding is important. I think one of the things about Christianity is that it is not simply a faith that you understand at a spiritual faith level, but in fact can be also justified through logic. You look at how Jesus fulfilled perfectly, to the letter, every single prophecy that was made of the coming Messiah. I mean you can make an argument, as of course, [was done in] The Case for Faith ... that there is a logical argument for the truth of Christianity. So for me I've always been interested in the depth of that theology. It brings me into greater understanding. What fascinates me so much—not just about the Bible but about Christianity—is how deep it is. If you spent 80 years pondering, you still wouldn't fully understand its depth and its scope and how it virtually has answers to every challenge and every circumstance in life. ES: So I get you navigate the distinction between Catholicism and evangelicalism and that you are firmly rooted in the Catholic Church but you have a foot—a friendly foot—in evangelicalism. How do you see Mormonism? You said in your Meet the Press interview, "I started feeling called back to the Catholic Church. It was nothing against the Mormon church; it was just a calling. That happened twice in my life." Theologically, how do you look back in your Mormon experience or at Mormonism? Hearing you articulate these theological views now, how do you see Mormonism today? MR: To be clear, I was 9 or 10 years old, so I understood the theology at the depth a 9-or 10-year-old could understand. I have tremendous respect for [Mormons]. I don't in any way want to disparage—in any way. I have tremendous admiration for what the LDS church does, particularly the strength of families. I have a lot of family members, the majority of my family in Nevada (which is more than half of my family) that joined the LDS church—and many good friends that are as well. I have tremendous respect for the church and in particular for the values that we all share in common that they defend. The theological distinction—I'll leave to others. As I said, I'm not nearly as familiar with LDS theology as I am with Catholicism or that of other Protestant denominations. But I have tremendous respect for many people who are of the Mormon faith. The one thing that really attracted my mother at that time was the strength of the family unit in the LDS church and how it is the centerpiece of life in the LDS church. It's something I continue to admire greatly. ES: Within Catholicism, of course, you have a new pope who has caught the attention of the world, but also made some people nervous. What's your perception of the pope and how do his views have bearing on your views? MR: Well, first of all, I'm familiar with him from his time as a Cardinal. He was a leading Cardinal in Latin America and wrote extensively a number of documents that influenced the direction of the church in Latin America. I think a lot of it is colored by his experience in Argentina in which the church and the government did not have the best of relations, and in which the economic order was largely a corporatist one. My view of the pope is someone who is trying to instigate dialogue. One of the things he recently said was that he views the church as a field hospital where you have to go out and first treat people's wounds and in the process of doing that you can bring them closer to Christ. But first you have to treat their wounds—and what it is that's going on in their lives. It's clear that he's trying to instigate dialogue within the church. I don't think he has pronounced anything theologically that diverts in any way from for example his predecessor, Benedict, who is seen as a more of a traditional theological figure. From a theological perspective, the pope hasn't pronounced anything that's different—nor, quite frankly, can he pronounce himself in any way differently than the base theology of the church. But (he) obviously has a different style and focus. And I think part of it is to try to trigger a conversation within the church about how to best minister to a lost people in the 21st century. Ed Stetzer is the executive director of LifeWay Research. 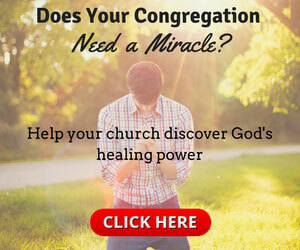 For the original article, visit edstetzer.com.